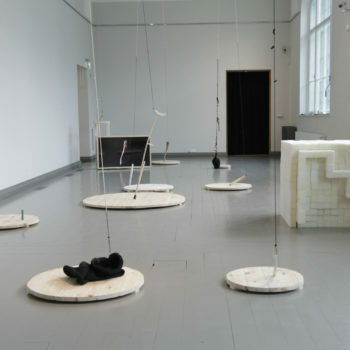 Heini Aho combines elements of sculpture, installation and the moving image into works addressing issues of space and perceptions of the environment. In her works, the analytical meets the intuitive, and the material meets the immaterial. Aho’s method is based on observing a concrete phenomenon and the law-like characteristics of the material. A subtly light-hearted tone typical of the artist is present in them; it may be a touch of humour, wonderment with an element of joie de vivre to it, or a surprising feeling of freedom before ordinary matters. Heini Aho graduated from the Finnish Academy of Fine Arts in 2015, and the Turku Academy of Arts in 2003. 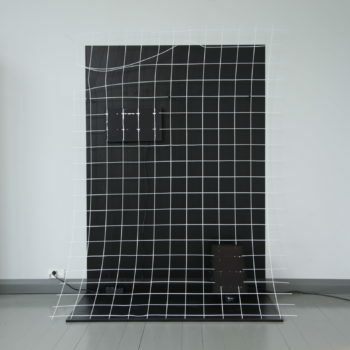 In recent years, her work has been on show in solo exhibitions, such as Cure of All at the Turku Art Museum Studio, The Square Elephant at the Galeria Anhava in Helsinki, The Primary Force Behind an Everyday Experience at the Titanik Gallery in Turku, Playing with the Dragon at Forum Box in Helsinki and More Black at the Small Projects Gallery in Tromsö. 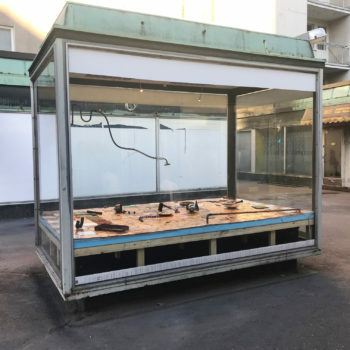 She has also participated in various group exhibitions, including Fin Between at the Arena 1 Gallery in Santa Monica in Los Angeles, meta/data/morphosis at the Or Gallery in Berlin and The Hunters Group: Heart Side Up at Kunsthalle Helsinki. In 2016, Aho was awarded the main prize of the William Thuring Foundation. Her works are included in the collections of the Kiasma Museum of Contemporary Art, the Saastamoinen Foundation and the HAM Helsinki Art Museum, the State Art Collections and a private collection in Belgium, among others.